With the recent boom in the fitness industry over the last few years there are plenty of good training facilities to choose from. However, despite having good equipment and facilities most people still don’t know how to use them or follow a structured training programme. Unlike commercial gyms and boot camps the SIS gym provides structure, support and constant accountability. Anyone who joins the SIS gym will not be left alone to aimlessly wander around the gym thinking of what to do next. You will not be allowed to perform exercises with poor technique and you will be accountable to one of the SIS coaches. Each month you will have the option to start a new programme, get reassessed and set new goals or targets. 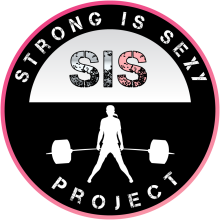 To arrange your free 1 week pass and find out more information about the SIS Gym Membership, fill out the form below and one of the SIS Team contact you.